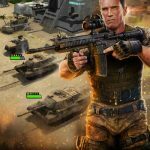 We’ve already brought you several tips and tricks for Epic War’s Android and iOS title Mobile Strike, and by now you know that the game is endorsed by none other than action hero Arnold Schwarzenegger. 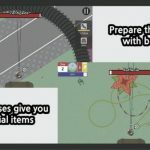 But being that this game is so popular, we decided to cobble together all the hottest resource-gathering tips and add a few new ones to the mix. Before we get to that, here’s a brief run-through of what you can expect in this game. 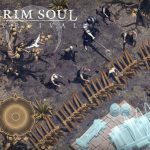 This is a MMO war game where you build your ow base, form alliances with other players, and fight against real-life human players from all over the world. 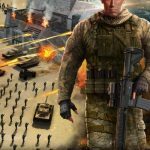 You will, at most times, need to ensure your base is well-defended, or you can conversely focus on the offensive end and manufacture an arsenal unrivaled on the battlefield. It’s your choice when all is said and done, and strategy is very important in this game. We believe we’ve already covered the general tips in depth, but when push comes to shove, it’s all about having enough resources on you, may it be gold, food, stone, wood, or whatever it may be. So how can you boost your resources? Read our exclusive Mobile Strike ultimate guide for getting more free gold and other resources. This is one of the first things we suggest you do in this game, as doing that will give you a bonus of 100 free gold, to add to the 400 you have as a complimentary gift for new players. You can also refer a friend to the game and ask them if they want to connect their games as well, and that’s going to be worth a 40 gold referral bonus. And once they level up their commander, you’ll also earn more gold bonuses on your end. Even if you aren’t comfortable connecting your game to Facebook or if you don’t have enough friends interested in playing Mobile Strike, there are still ways for you to get free gold. First would be the challenges, which you can view on the Challenges tab for a list of current challenges. Most of them would require you to be a member of an active alliance, but if you aren’t yet, there are always a few that don’t have that as a requirement. Placing highly on the challenge means you’ll get a certain amount of gold, depending on the pre-set rewards for completing it successfully. A successful mission means more gold. Really nothing more we can say about this, except that you shouldn’t overlook your missions, and that paying close attention to their requirements is very, very important. You can also get free gold in random, unexpected situations; for example, you can get it at the shooting range, though we’ve yet to hear more than a few people say that happens. There’s also the option to play the “correct and earn” advertising mini-game, where you vie for prizes while fixing translations. Based on what we’ve heard, that’s been extremely hard to pull off. When building your base, you don’t want any spaces to be left blank. Gain stone, iron, oil, and food by building a quarry, iron mine, oil well, and farm respectively, and level those buildings up regularly. As you keep leveling up in the game, you’ll get to unlock more blank spaces, which you would also need filled up eventually. Out of all the buildings in Mobile Strike, it’s the farm you should be focusing on the most. That’s because this is what feeds your troops, and you don’t even want to think about negative food production. Set up more farms than the other resource buildings, and keep on upgrading, so that way none of your men would ever go hungry. We told you above that it’s possible to earn coins for free by completing missions. But you can also earn these resources and keep them by not claiming your reward. Sounds strange? It actually isn’t – once you tap on Claim for your mission rewards, chances are you’ll get a little bit of everything. We suggest not tapping on Claim unless your base really needs the rewards; if you don’t claim them, other players won’t see them, and they won’t be able to steal them either. And you can theoretically let rewards stay unclaimed forever, as they don’t expire! Resource items are also common prizes included in your rewards, and they can give your resource collection a good boost. But don’t use them unless absolutely necessary, as they can be stolen by opposing players. Save them up and use them only when needed. The shooting gallery gives you even more chances to earn resources for free, and in some occasions (since you’re firing a gun anyway), ammo packs. As an aside, ammo packs can be used to fire at targets, thus allowing you to earn more resources, perhaps more than what you had originally paid for in order to buy the packs. If you become a member of an alliance, always be on the lookout for prizes popping up. This happens when someone in your alliance buys a gold pack. However, the prizes you can get as an alliance would only be available for 24 hours, after which they will expire. That means you should claim those rewards ASAP, especially since they usually come with resources. You could also get resource collection boosters, which make it faster for you to gain resources and add them to your stockpile. In addition, being a member of an active alliance earns you alliance points and loyalty, depending on the actions you fulfill within it. Loyalty allows you to purchase 24-hour resource boosts and more, as well as resource packs when available. You can also ask your leader for specific resource boosts that can only be bought with alliance points; you can only use points for purchases if you’re the alliance leader or a Rank 4 member.